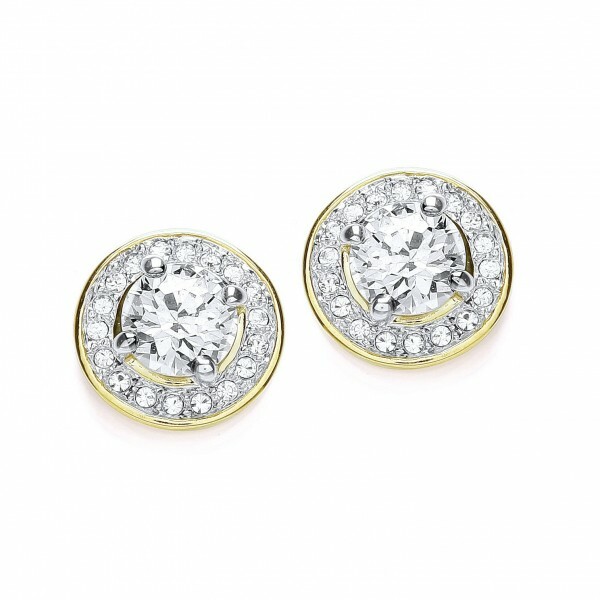 This classic stud earring is plated with pure rhodium and 18k gold. Set with a sparkling brilliant-cut cubic zirconia centrepiece, surrounded with pristine Austrian crystals. Measuring 10mm in diameter. 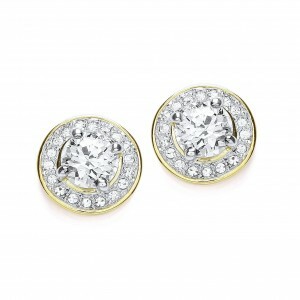 Matching pendant (CZGN234) also available.